The colleagues were gearing for a busy weekend full of physical and educational activities. Early in the morning of Saturday, August 27, the team made their way to Dahlonega, Georgia to visit the Shalom B’harim Synagogue, where a man dressed in Dockers and a plaid shirt met them in the parking lot, with a cup of coffee in his hands and a smile on his face. The man was Rabbi Mitch Cohen, and soon the team realized he would be the most non-traditional Rabbi they would ever meet. Rabbi Cohen shared his life story, including his journey through grief with the loss of his wife of fourteen years, and his path to Rabbinical preparation, up to the assignment to lead his small Jewish community in the city of Dahlonega. He also spoke about Judaism; the traditional views, and the more progressive views. The interaction was interesting, and the conversation was casual, and open. Rabbi Cohen was kind to the Colleagues, pausing during the service, in order to explain everything that was taken place. The reading of the Torah is done completely in Hebrew, while some of the prayers were translated to English. There were songs, Psalms, chants, and responsive reading. The experience although different, served to give a glimpse into what value the children of Israel give to the holy scriptures. Even though time and culture has shifted, even in the Judaic traditions, the reverence and honor placed in prayer and the reading of the holy scriptures is still as pivotal today as it was thousands of years ago. 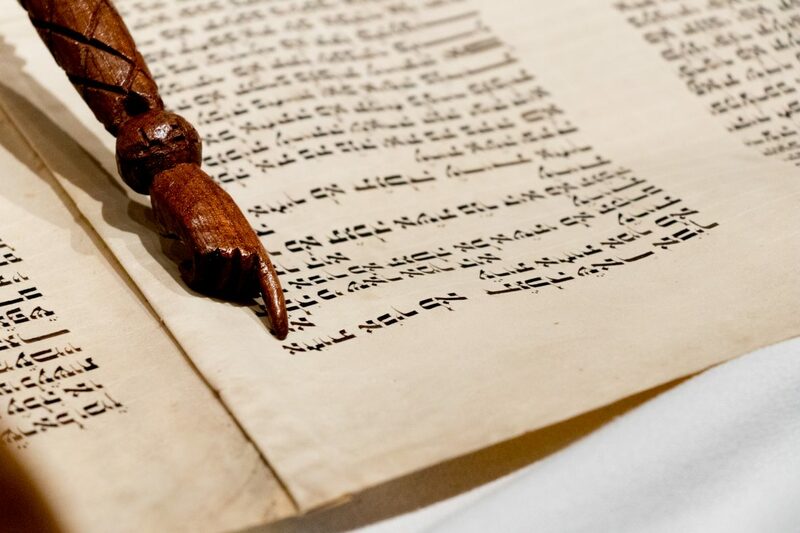 Rabbi Cohen took time after the service to allow the colleagues a close look at the Torah, which was a hundred and fifty-year-old scroll his congregation was able to acquire from Poland (rescued from destruction during the holocaust). He took much care in explaining the importance of the name of G-d, and how the writer took such care that he didn’t misspell, scratch, or stain the name of G-d in any way, otherwise, he would have to re-write the entire page. A time of fellowship followed the service, where the colleagues participated in a Kosher pot-luck style meal, while interacting with the congregants. Although the wonderful congregation of the Shalom B’harim synagogue behaves as a tribe still today, it is a vibrant community that values unity, and welcomes outsiders interested in learning about their culture and beliefs. The colleagues’ take away from the experience included, a good exchange of debatable topics, as well as inspiring information, a glimpse into not only another religion, but another people group with strong values and a unique belief system. Perhaps one of the biggest “take-away” for the colleagues, is the importance of continued prayer for Israel, regardless of the political, and socio-economic status of the nation. Beautifil, me toco en el alma. Y esto es lo que Dios quiere que regresemos a las sendas antiguas, a la Torah y asi ver como el NT se Enlasa en el VT. Gloria a Dios por tan bella experiencia.